Last week, we saw 15 modern homes with black exteriors. 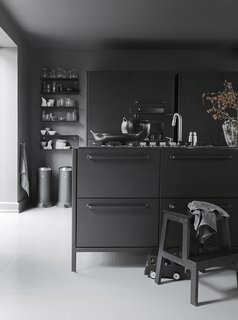 This week, we are focusing on the interior of the home, specifically ways to incorporate the color black into your kitchen. Get inspired! 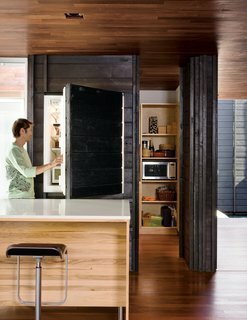 Take a step inside 10 beautiful designed kitchens that perfectly use the color black. 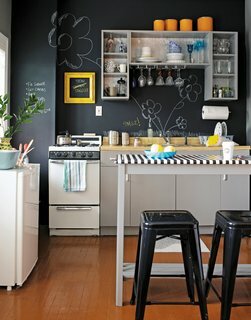 This kitchen manages to look playful and edgy with chalkboard paint: the matte black is crisp, but the scribbles add whimsy. Reprinted from The First Apartment Book by Kyle Schuneman. Copyright © 2012. 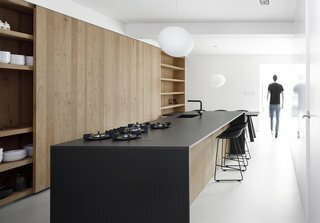 Published by Clarkson Potter, a division of Random House, Inc.
Twin daughters Merle and Anine join their parents in the family’s kitchen, designed by Jensen for Vipp. He explains that his role as chief designer at Vipp is to "work with their DNA" by refining the company’s trademark materials: stainless steel, painted metal, and rubber. For the utilitarian kitchen, "we wanted to get the feeling of a tool," he says. "It’s nice to have a space where you can actually work." 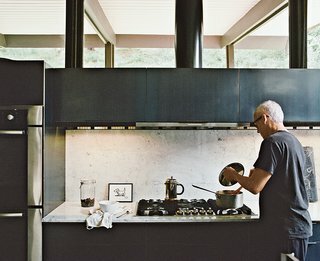 The gas stovetop is by ABK and the refrigerator is by Smeg; Le Perroquet spotlights are from iGuzzini. The system comes in a range of styles, from high tech to country, from light woods to dark, as well as an extensive choice of hardware and countertop surfaces, now clearly displayed right next to the cabinets. 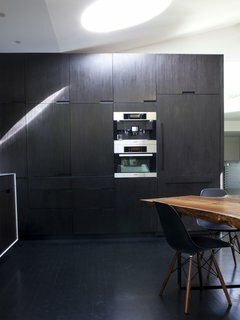 The kitchen’s black countertops were cut from Nero Assoluto granite. The sink and faucet are from Quebec-based company Rubi. Appliances are from Wolf. 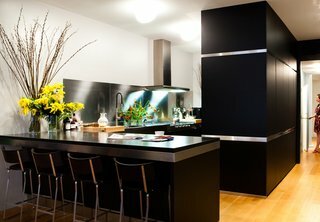 The couple made the most dramatic changes in the kitchen. They installed Carrara marble and custom oiled-steel cabinetry. The artwork is by Cecil Touchon. Near the Wind Crest cooktop is a Bosch oven. A Foscarini Gregg Pendant hangs above the kitchen table. 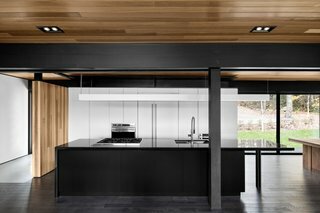 The island is made of oak with a thin, black stone countertop. A wall of built-ins in the kitchen houses a raft of Miele appliances including a refrigerator, microwave, and espresso machine. 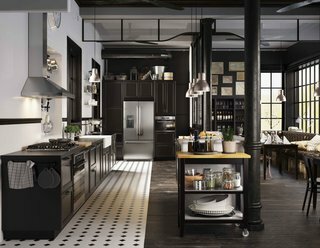 Arclinea's black cabinets with stainless-steel trim outfit the Manhattan kitchen of Dana Dramov.